Earth Day is the perfect opportunity to share our collective commitment to protecting and caring for the environment. Every year, Wareham Land Trust volunteers participate in neighborhood clean-ups (rain or shine!). If you would like to join our community effort along with the Don’t Trash Wareham friends, please contact Lori Benson at 508-846-272 or email her at lbenson@bridgew.edu. 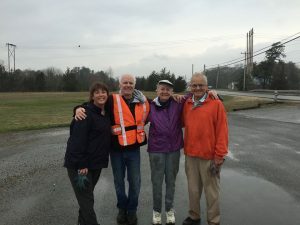 We would like to have a group at the Bryant Farm property, cleaning along Route 6, but if we have enough volunteers it would also be nice to do some clean-up work along the Agawam River at our Knowles Avenue property. Lori will coordinate the times and locations depending on feedback. 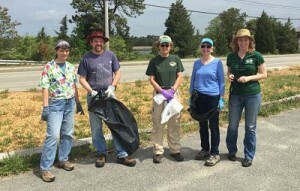 If you can’t join us on Saturday morning, everyone is encouraged to do their own part at their own pace in their own time…grabbing a trash bag and filling it wherever in Wareham they choose. Every little bit helps.